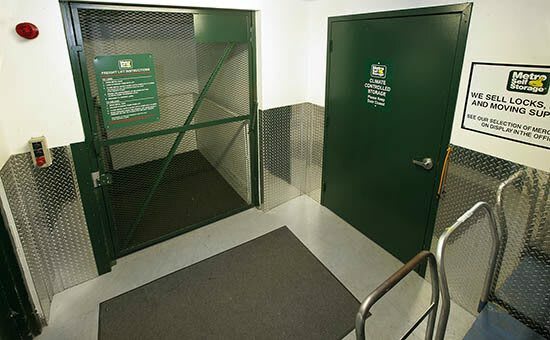 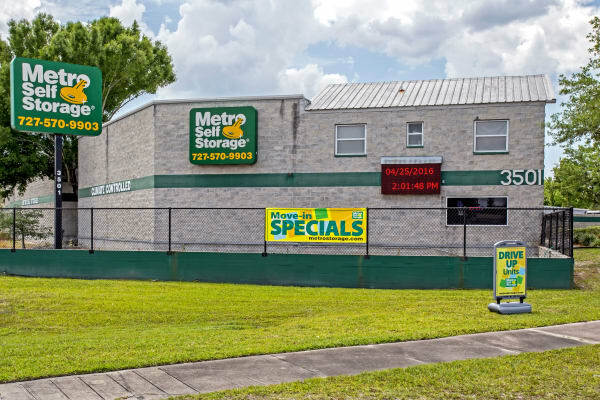 Metro Self Storage in Pinellas Park offers outdoor drive-up units, indoor climate-controlled storage units, and exterior parking spaces—all with 24-hour access. 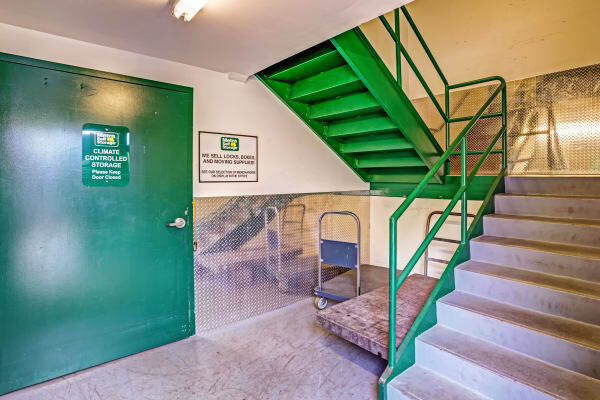 We take pride in keeping our landscaping lush and everything in excellent working order and ready to impress every time you visit. 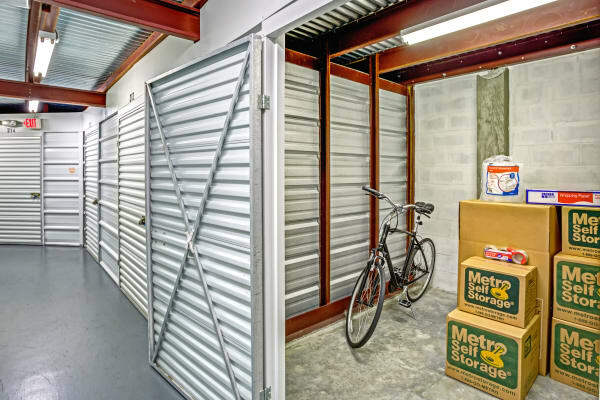 We also offer a full range of packing supplies, locks, and moving boxes in one convenient location. 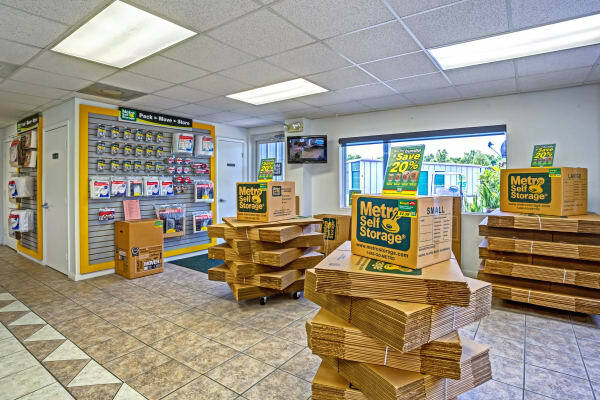 Whether you call Florida home or are visiting from another state, you will find our location easy-to-access from both Highway 19 and I-275. 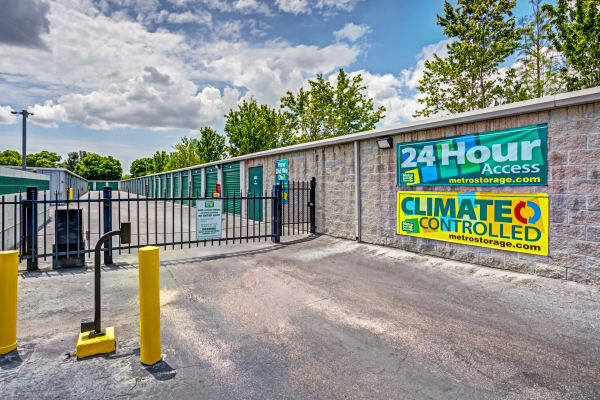 Our user-friendly online reservation system is available to you 24-hours a day, and our customers tell us time and again how much they appreciate our flexible month-to-month storage rentals. 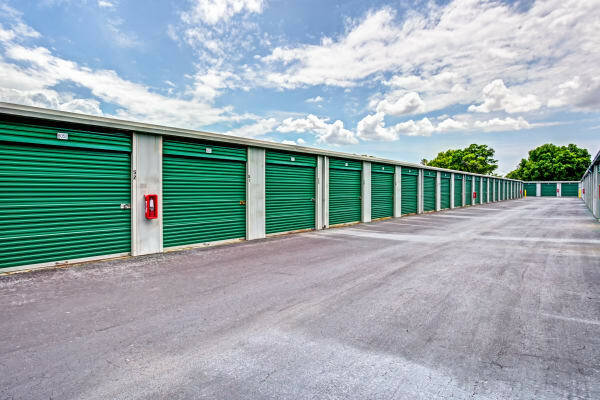 We also offer tenant insurance for your added peace of mind. 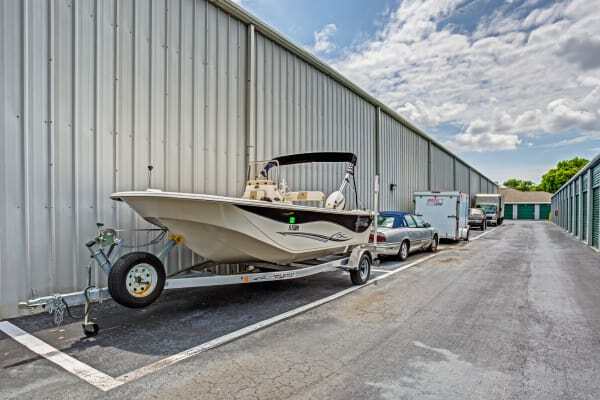 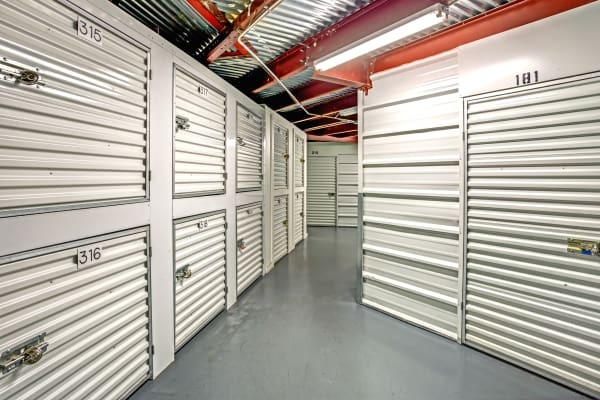 Whether you need to store an entire household of goods or your kayaks and canoes, our Property Manager and storage team are dedicated to providing you with the best storage experience possible. 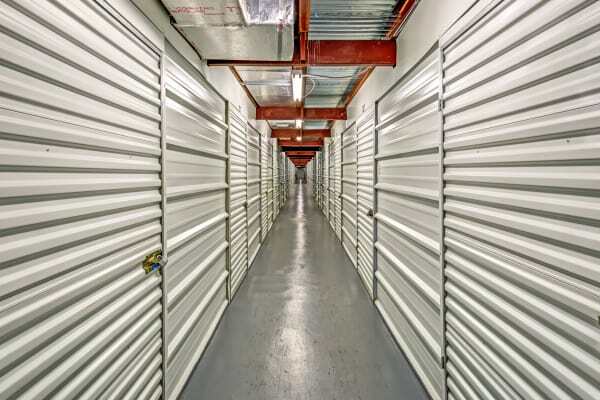 We invite you to call or come by today for a personalized tour of our attractive Pinellas Park storage facility.